Just after a week, Apple again seeded its eighth beta version of OS X Mavericks 10.9.3. The newly released Mac OS X Mavericks 10.9.3 Beta 8 (Build: 13D45a) is now officially available to registered OS X developers and non-registered non-OS X developers (general-users) worldwide with some minor changes, fixes, improvements and latest features addition. The official Direct Download Links of OS X Mavericks 10.9.3 Beta 8 (Build: 13D45a) .DMG Update File is available below. To upgrade/update your current old OS X Mavericks software version, just visit Mac App Store >> Software Update tab or go to OS X Dev Center website, Additionally, Mac users can also Download OS X Mavericks 10.9.3 Beta 8 (Build: 13D45a) .DMG Update File via Direct Links and can install the latest update without having Apple ID account and without Apple Developer account. It's further expected that, Mac users might get similar kind of minor updates from Apple in future also i.e. 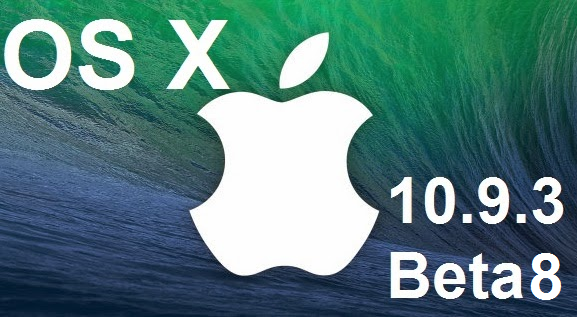 OS X 10.9.3 Beta 9 or OS X 10.9.3 Beta 10.